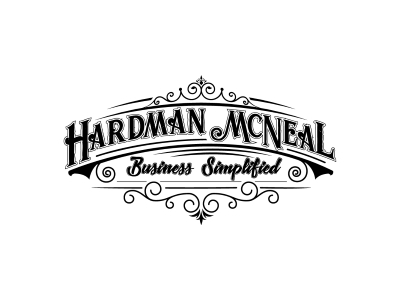 At Hardman McNeal we ‘simplify’ your business. You do what you do exceptionally well or you wouldn’t be in business, right? But it’s the other stuff; the sales, keeping up to date on social media, feeling overwhelmed, having a lack of direction or ideas, knowing what to do when, keeping on track, setting realistic goals and achieving them. Well we’ve been where you are and we’ve felt that way too, so we’re speaking from experience, which we have oodles of! We champion small businesses. We WANT you to grow and to succeed, so we help you in every way we can, whether that’s through one to one support, connecting you and referring you to the right people, a workshop, a one off training session, coaching or our signature 5 star rated 12-month Business Simplified course. For bigger businesses who are a little further down the path we can work with your sales teams and turn them around. We can put processes in place and give them the motivation and guidelines needed to produce the results you need. We do not operate a ‘one-size-fits-all approach, and we work in smaller groups or on a one 2 one basis so we can give you the support you need. It is a hotspot of small businesses with lots of support, funding and programs available to all. We are a hive of diversity and celebrate self-sufficiency and collaboration. Since attending the Boost programme ourselves and gaining so much support we also believe that this guidance should be used by any business looking to grow. We believe that support is vital in growing your business and Boost provides a fantastic base from which to make new connections, strengthen convictions and forge the path ahead.